EXCLUSIVE! 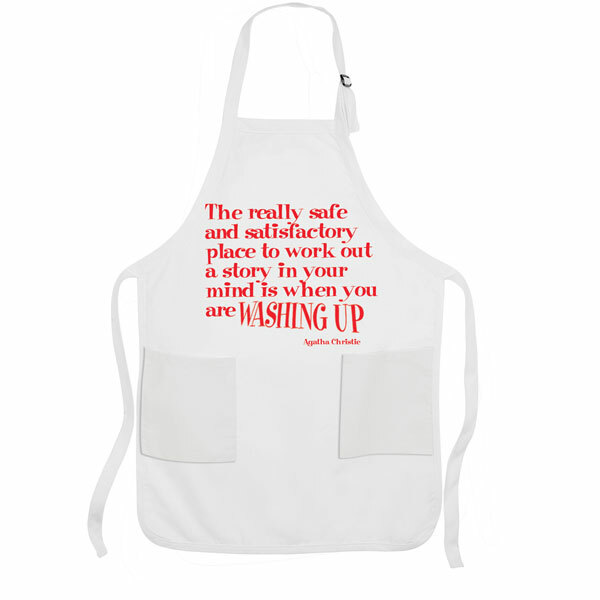 "The really safe and satisfactory place to work out a story in your mind is when you are washing up." And now we know how Agatha Christie became one of the world's most prolific writers: by doing the dishes. Gifts for any writer (or Dame Agatha fan), cotton blend apron is one size. Absorbent cotton dish towel is 20" x 29" (sold separately). Imported.